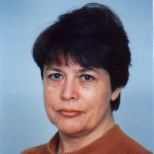 Dr. Roumiana Kountcheva is Senior researcher and Vice President at TK Engineering, Sofia. Main scientific interests: Image processing, Image compression and watermarking, CNCs, Programmable controllers. She has more than 170 publications: 19 book chapters, 25 papers in international scientific journals, 5 international patents (2 USA patents), 132 conference papers. She was the Principal investigator of more than 40 research projects in her scientific area. Member of BAPR (part of IAPR). 1. R. Kountchev, S. Anwar, R. Kountcheva, M. Milanova. Face recognition in home security system using tensor decomposition based on Radix-(2x2) hierarchical SVD, 4th Intern Workshop on Multimodal Pattern Recognition of Social Signals in Human-Computer Interaction (MPRSS) 2016, ICPR, Cancun, Mexico, Dec, 4, 2016, in "Lecture Notes in Artificial Intelligence". Springer International Publishing AG 2017, Eds. F. Schwenker and S. Scherer (Eds. ): MPRSS 2016, LNAI 10183, pp. 1–12, 2017. DOI: 10.1007/978-3-319-59259-6_5, pp. 48-59. 2. R. Kountcheva and R. Kountchev. Sliding Recursive Hierarchical Adaptive PCA for 3D Image Processing. 8th Intern. Conf. on Information Technology (ICIT'17), May 17-18, 2017, Al-Zaytoonah University of Jordan, Amman, Jordan, pp. 174-181. Publisher: IEEE; DOI: 10.1109/ICITECH.2017.8079996; Date Added to IEEE Xplore: 23 October 2017. 3. R. Kountchev and R. Kountcheva. Truncated Hierarchical SVD for Image Sequences, Represented as Third Order Tensor. 8th Intern. Conf. on Information Technology (ICIT'17), May 17-18, 2017, Al-Zaytoonah University of Jordan, Amman, Jordan, p.166-173. Publisher: IEEE; https://doi.org/10.1109/ICITECH.2017.8079995. Date Added to IEEE Xplore: 23 October 2017. E-ISSN: 2224-3488, 2017, Vol. 13, pp. 146-154. 7. R. Kountchev and R. Kountcheva. Color Space Transform for Correlated Images Based on the Recursive Adaptive KLT. IARAS International Journal of Signal Processing, Vol. 2, 2017, pp. 72-80, ISSN: 2367-8984, Intern. Journal of Signal Processing, http://iaras.org/iaras/journals/ijsp.